The topical issue "Atomic Cluster Collisions (7th International Symposium)" of the European Physical Journal D (EPJD) has been published. This topical issue edited by Gerardo Delgado-Barrio, Pablo Villarreal, Rita Prosmiti and Andrey V. Solov’yov presents contributions from the participants of the 7th International Symposium “Atomic Cluster Collisions” (ISACC 2015) which was held in Madrid, Spain in July 2015. 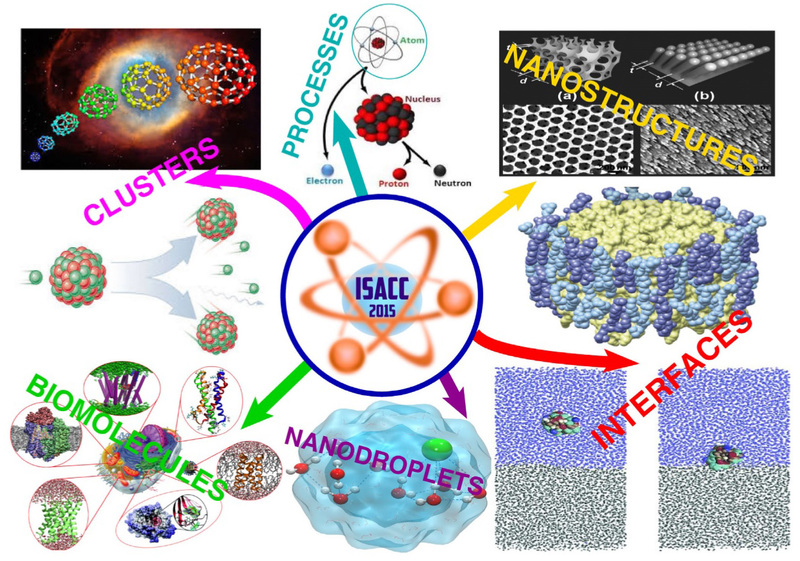 The ISACC 2015 topical issue provides a current state-of-the-art description of what is being done in the ﬁeld of structure formation and dynamics of nuclear, atomic and molecular clusters, nano-objects, ensembles of nanoparticles, nanostructures, biomolecules and biomolecular systems by the international community. The contributions to this issue represent the studies both at the fundamental level of elementary mechanisms and at the more applied level which is necessary in numerous applications of nano-and bio-technology, materials science and medicine. The open access Editorial for the ISACC 2015 topical issue can be found here.